Adventure. Freedom. Four Wheel Drive. 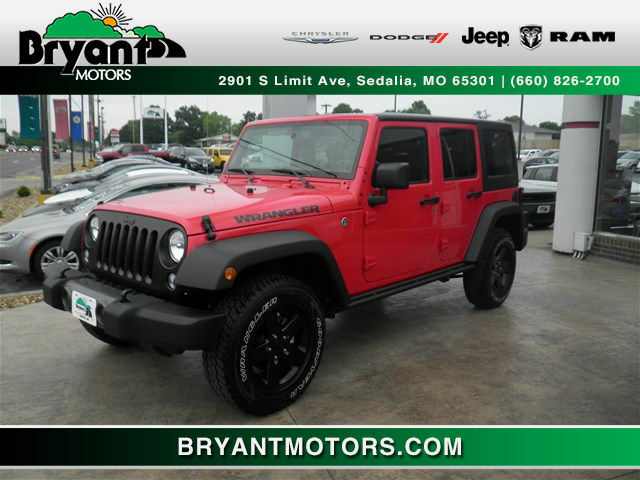 Come experience it all by test driving the latest and greatest Jeep SUVs at Bryant Motors of Sedalia! If ruggedness, durability and power are the qualities you look for in a sport utility vehicle, then you should consider test driving a Jeep. Owning your own Jeep means your opportunities for off-roading adventure are virtually limitless. 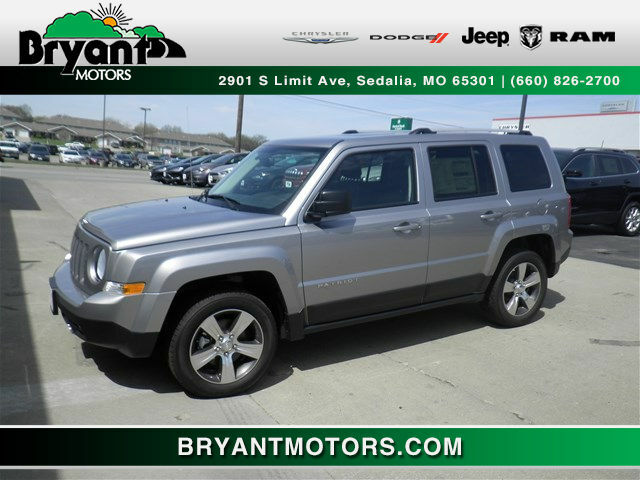 At Bryant Motors, our Sedalia car lot is well-stocked with the region’s best selection of new and used Jeep SUVs. Few luxury SUVs compare to the award-winning Jeep Grand Cherokee. Equipped with Jeep’s patented Selec-Terrain® traction control system, the sophisticated 2016 Grand Cherokee is fully capable of taking you wherever the road leads in style. The Grand Cherokee is one of Jeep’s most luxurious models & is offered in two trim options: Laredo and Limited. If the Grand Cherokee takes you wherever the road leads, the Jeep Wrangler and Wrangler Unlimited can take you where the road ends and beyond. Snow, ice, mud, sand, rocks – the Wrangler’s Command-Trac® 4×4 System and 3.6L V6 engine enable off-roading capabilities like no other. This luxury compact SUV comes in four trim options: Sport, Sport S, Willy’s Wheeler, and Black Bear. You simply can’t beat the price of the Jeep Patriot, especially considering all the features you get – including its elegant interior, exclusive accents and legendary Jeep power. The Patriot has received awards for Top Safety Pick and Best Overall Performance from KBB and ASG, among others. Like the Compass, the Patriot is offered in three trim options: Sport, Sport SE and Latitude. 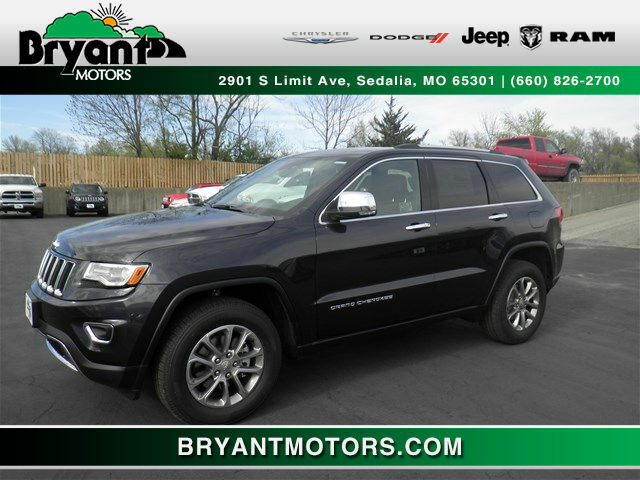 On top of our full lineup of Jeep Latitudes, Grand Cherokees and Wranglers, Bryant Motors has a wide selection of other popular new and pre-owned Jeep models for sale, including the Cherokee, Renegade and Liberty. 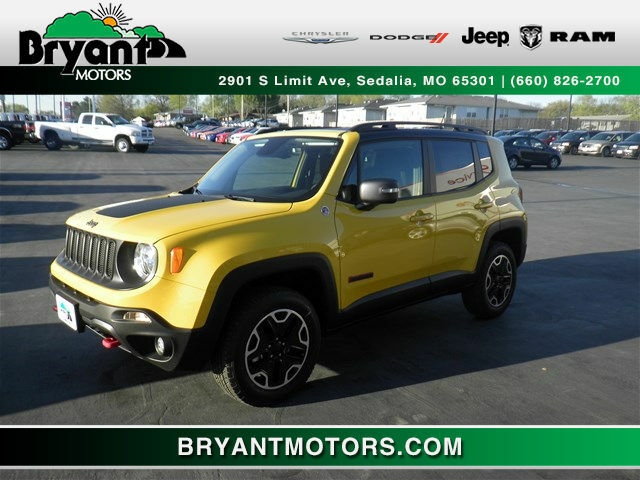 We’re committed to finding you the Jeep that is best suited to your unique tastes and desires – down to your choice of color, trim level and engine size. In 1941, the first Jeeps went into production to aid the U.S. military’s war effort. Now, 75 years later, America’s oldest 4×4 sport utility vehicle manufacturer continues to produce some of the most popular consumer SUVs in the country. With military-grade power and rugged durability, Jeep SUVs are an entirely different class of vehicle. One of the many benefits of owning Jeep is freedom. The brand’s celebrated off-road capabilities and 4×4 technology means you can take your Jeep SUV where no other vehicles can go. This freedom to drive anywhere stems all the way back to the automaker’s founding mission to help American soldiers during WWII. Adventure, freedom, and 4x4s – that’s the Jeep way! 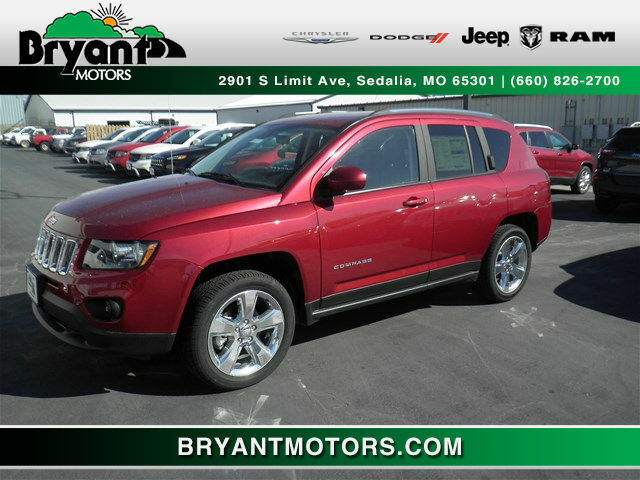 Bryant Motors of Sedalia is proud to serve as Central Missouri’s premier authorized Chrysler Dodge Jeep Ram dealer. We have the latest Jeeps ready to be test-driven, as well as the region’s largest selection of gently-used Jeep models. Our Service Department is staffed with highly qualified ASE-certified and factory authorized auto technicians. And if you’re looking for Mopar OEM parts to soup up your Jeep, our Parts Center has everything you need (and we’ll order it for you if we don’t!). Whatever your auto needs, Bryant Motors is happy to help! We proudly serve the community of Sedalia, Warrensburg, Whiteman AFB, Jefferson City, Marshall, Clinton, and Boonville, MO. Step into our showroom and begin your Jeep adventure today!